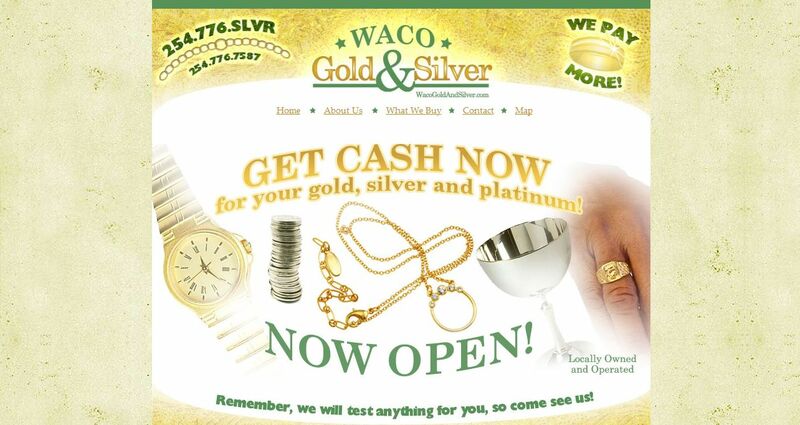 Waco Gold and Silver address, phone, website, hours of operation, and more. Expect the best and receive the best at Waco Gold and Silver. We pride ourselves in our fast, friendly and knowledgeable service…and our ability to make our transactions in the most open and efficient means possible. What does this mean to you? It means you’ll be able to receive cash for your gold and silver both quickly and easily. Plus, you’ll benefit from the peace of mind that comes from dealing with experienced gold and silver specialists. Remember, we want your repeat business AND we are locally owned and operated!